The Sun in September! I hardly saw it and I certainly didn't image it. Let's try October instead, the one day I managed an image, at least. This is a mosaic of 5 panes. Still having problems with "dust bunnies", probably on the blocking filter of the Lunt solar telescope. Making the mosaic helped to reduce the impact of the bunnies but they are still there. The light circle around the large sunspot near the centre is the spot's penumbra. 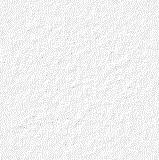 Don't think I've seen such an obvious penumbra in any of my hydrogen alpha images before. 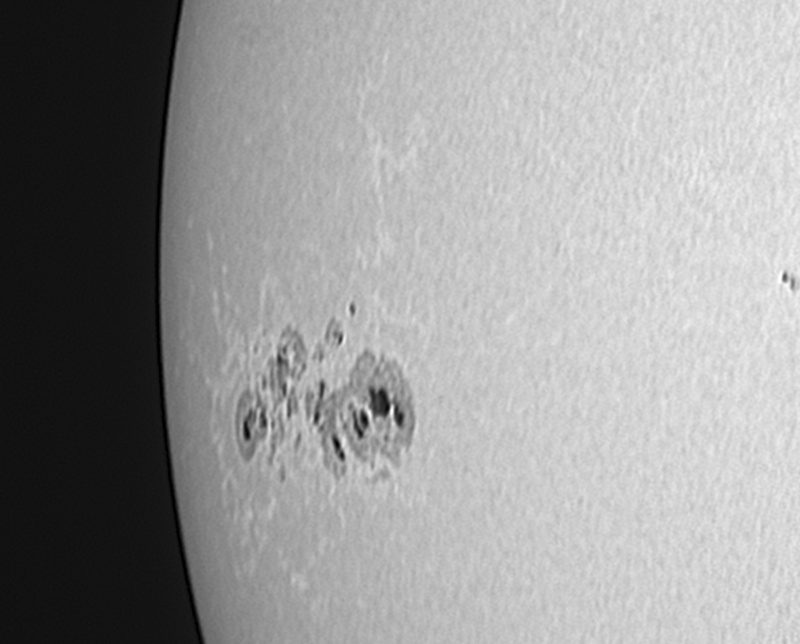 A large active region, consisting of a mass of sunspots, appeared round the Sun's limb in the last couple of days. After a couple of hours of rain this morning, the sky cleared about 11.30am so I decided to have a look at the active region with my Baader film diy solar filter. I took abot five movie files with my DMK31 camera, each of 900 frames over 30 seconds. The seeing was appalling, the Sun's limb was boiling and the sunspots were dancing all over the place. Just one of the movie files produced a decent image which I have sharpened more than I would do with h-alpha images to try to bring out as much detail as I could. The bright regions around the active area are known as faculae, which are associated with areas of strong magnetic fields. Amazingly, an active Sun with many sunspots actually produces more radiation than a quiescent Sun because the brightness of the faculae more than make up for the darker areas of the sunspots. 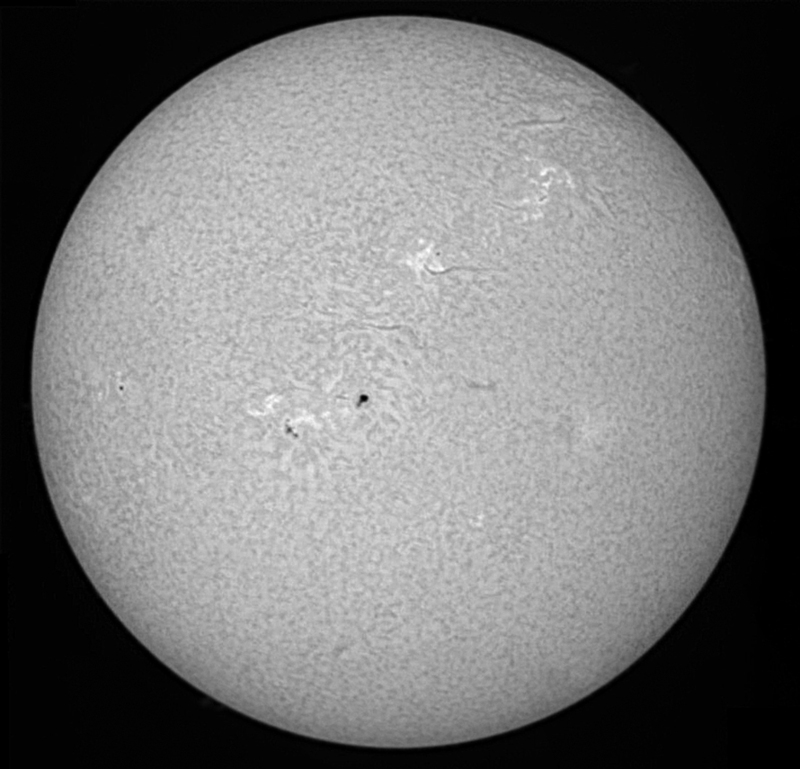 The bright regions between the large sunspots nearest the centre are real, not imaging artifacts as they appear on other images of this region.